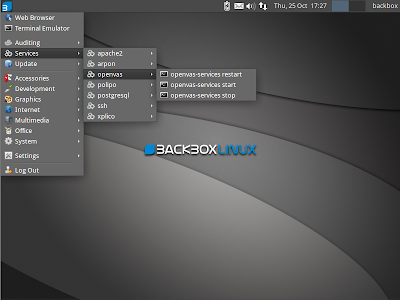 In past we have discussed many times about BackBox, which is a Linux distribution based on Ubuntu. It has been developed to perform penetration tests and security assessments. Designed to be fast, easy to use and provide a minimal yet complete desktop environment. Its own software repositories, always being updated to the latest stable version of the most used and best known ethical hacking tools. Now a days along with BackTrack this Ubuntu based penetration testing distribution has became very popular in hacker communities, even several penetration testers also using BackBox. Like other popular Pen testing distro, BackBox also get updated periodically. This time BackBox developer team has announced a major release BackBox Linux, version 3.0. The major release include features such as the new Linux Kernel 3.2 flower and Xfce 4.8. Apart from the system major upgrade, all auditing tools are up to date as well.